Decentralisation, Not The Horrible Barotse Agreement, Will Save Western Province. The Barotse Agreement has strongly come alive in the recent past culminating in riots in Mongu on January 14, 2011, where two lives were lost. A closer look at certain provisions of the agreement reveals that it doomed Western Province to languish in limbo, neglect and confusion. Not because anyone intended to, but because it was not well thought out. Both in its content and on its face, it is a horrible document pretending to be complex. Whether the agreement gets restored, honoured, recognized or whatever word one chooses to describe the purported solution, western province is doomed to poverty and confusion because of it. This fact about the BA made Dr. Sondashi to lament that, “The confusion surrounding the agreement is due to the fact that the Barotseland agreement of 1964 appears to have been reached and signed half heartedly with the Barotse delegation led by Litunga Mwanawina Lewanika the third.” The doctor urged that it be renegotiated. It is a waste of time to try and apportion blame for this regrettable state of affairs. We cannot know for sure whether it was the Litunga who lacked understanding or just wanted to save his throne forgetting his people; or Kaunda who lacked understanding or just behaved crookedly; or Britain who deliberately sowed seeds of conflict and confusion to set up Zambia for possible failure as an independent country or just desperately wanted to wash its hands out of the burden that was Barotseland. (I say all this with due respect to the three); or it was just the difficulty of circumstances at the time. We cannot know for sure. The two major “culprits” for this calamity are clauses 4 and 7, which deal with power over land and power over money respectively. Clearly the Litunga has power over land, traditional matters and other natural resources. Clause 4 is the inspiration of those advocating cessation (although these are misguided), restoration, honouring, recognizing, etc; and those who praise the document as great, complex, etc. It is the good news. But when one reads Clause 7, a lamentable state of affairs emerges, effectively rendering clause 4 hollow and worthless. 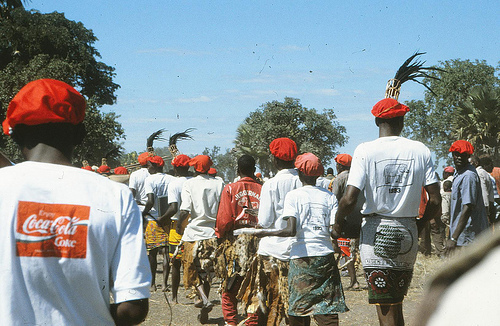 The Government of the Republic of Zambia shall have the same general responsibility for providing financial support for the administration and economic development of Barotseland as it has for other parts of the Republic and shall ensure that, in discharge of this responsibility, Barotseland is treated fairly and equitably in relation to other parts of the Republic. What clauses 4 and 7 do is give Barotseland territorial autonomy without financial autonomy. And without money, you inevitably end up with an autonomous piece of land wallowing in abject poverty. Admittedly, the Litunga has power over “local taxation” laws but these pattern to land rates and other levies similar to those charged by local councils. And as seen everywhere else in Zambia, these local taxes are inadequate to bring the needed economic development. Centralised Governance, Not Abrogation of BA, Is The Real Bad News. From clause 7, it is obvious that when it (clause 7) was provided, it was envisaged that Central government would be apportioning shares of its revenue to local governments for their general “administration and economic development.” Since independence however, central government has only mostly apportioned money for administration. This money has been fairly and equitably apportioned, in form of grants, with marginal variances based on geographical and population sizes of each province. Money for economic development has always remained with central government, hence the need to have representatives in Lusaka, MPs, to lobby for this money. This is not only in reference to western province alone but all regions (provinces) as well. The land law in other areas has been that the President (central government) owns the land and everybody else leases from him or her for 99 years renewable. When the president wants to build a university in Lusaka for example, he will identify a piece of land. If it is occupied by others, he will compensate and relocate them. He will then channel the money to this developmental project. This is how Kaunda and others, using money from the Copperbelt, built roads, airports, dams, schools and hospitals everywhere in Zambia. Because of this modus operand from central government, of channeling development funds into specific projects instead of apportioning to regions in general, clause 4 effectively turns out to be a hindrance to development in Western Province. This is because the president would first have to obtain land from the Litunga, who has the right to agree, disagree, modify, ask for more time, more details, seek God’s guidance, consult his council, seek clarification, put on hold, etc. This bureaucracy is cumbersome for anybody. That is why Zambia itself has been reviewing land policies in order to enhance its attraction of foreign investment. In terms of the BA, disagreements and misunderstandings between central government and Barotse Royal Establishment (BRE) are bound to happen. Egos are bound to be bruised. Visions, preferences, etc will differ. And based on human nature, there are even possibilities of power “contests” between the Litunga (BRE) and the President (central government). The Litunga can withhold land using all kinds of excuses to assert his authority and autonomy; the president can withhold his money because presumably the Litunga is dilly dallying to give him land to build a school. He cannot give the Litunga money for economic development in general because this is not what happens in other areas, so it would make western province a “special child,” which is contrary to clause 7. Inevitably, this eventually leads to a “standoff,” a position of indifference or disengagement from both parties, each pointing an accusing finger at the other. This is exactly what exists today. Government says development land is difficult to get in Western province; western province disagrees and is infuriated that government does not just take equitable development there. The result is an impoverished western province as a status quo. A child born today in western province is not interested in this debate, which will never end because it is “my word against yours.” All that the child wants is to realize its dignity and freedom through economic empowerment and development. This right must not be denied because three people half a century ago did not think properly, and hence have condemned people of today to finger pointing, arguing and debating. The way forward therefore is to get rid of this room for “standoff” and finger pointing, by getting rid of the separation of powers over land and money by converging these powers in the same institution. With regard to western province, economic development power must be added to the Litunga on top of existing land powers. With regard to other provinces, both land and economic powers must be conferred upon local authorities from central government. In other words, the effective way of restoring, honouring or recognizing the Barotse Agreement is by decentralization. When this happens, government will be GENERALLY apportioning money for administration and economic development from central treasury to various local government treasuries. Only then can the Litunga stand on clause 7 and demand a fair and equitable share. Clearly, decentralization is already under way. The real salvation for western province, and indeed all provinces, has come. We need everyone, opposition or not, Barotse or not, pulling in this decentralization direction or else it will become one of those beautiful political promises that never get fulfilled. In the end the ordinary Zambian loses, while those who assume power based on unfulfilled promises get richer. Other Disasters of the BA 1964. At independence, Northern Rhodesia (Zambia) was becoming a multiparty democratic republic. Why should clause 4(2) recognize a chiefdom, whether you call it paramount, establishment, highness, king, etc as a local government in such a republic? People were definitely going to prefer voting for their leaders instead of family succession. It did not matter how “great” the Litungas believed they were. KK, Gadaffi, Mobarak, etc believed they were great but people still did not want them. Europe itself banished its “great” kings more than two centuries ago. Already, the Mbundas, Nkoyas and some other non-aluyi tribes in western province don’t want to be ruled by the Litunga; they are citizens of a republic with a fundamental right to choose their leaders. As regards the land law (clause 4), even with the dawn of decentralization, the land problem that has existed between central government and the BRE will continue, now with the elected local government in western province. Those who think it won’t are exhibiting the same myopia that created it in the first place. What does “to the place of” mean? Does it mean the BA was done to replace the treaties that were hitherto subsisting between Barotseland and Britain, which automatically terminated at the independence of Northern Rhodesia? If this is the case, then “to the place of” means “IN place of” the treaties. Or alternatively, does it mean the BA was done to take Barotseland’s position with Zambia to the place it always had in the treaties with the British? In other words, to maintain and uphold its protectorate status, but now as a Zambian, instead of British, protectorate? Protectorate from what? Kaunda’s tyranny? Kaunda’s independence? Could this be what Dr. Sondashi perceived as “resembling federation with Zambia”? This latter meaning creates more confusion because an earlier part of the same preamble says, “Where as it is the wish of the government of northern Rhodesia and of the Litunga of Barotseland, his council and the chiefs and people of Barotseland that northern Rhodesia should proceed to independence as ONE COUNTRY and that all its PEOPLES SHOULD BE ONE NATION.” A protectorate and its protector can never be one country with their peoples as one nation. The protector will be superior to the protectorate. So the confusion over the BA is not because of complexity but because of ignorance, oversimplification and myopia; albeit we cannot know whose among Britain, KK or the Litunga. The BA in itself is a confused document. To resolve it once and for all, it is better to invoke clause 9 – Interpretation. True to the confused document that it is, only the Litunga can request referral to the High Court. If people in western province are causing confusion because they misinterpret it, government cannot request the High Court for expert and objective interpretation. Should government then be blamed if it brutalizes them as a result of its misinterpretation as well! More confusion. Clearly, this document is not worthy the paper it was written on. It just flattered the Litunga by assuring his continued authority over land, forests and traditional affairs, and promised him free money to entrench that authority like he did before as a British protectorate. In the event that that authority got threatened, he could seek recourse by seeking the High Court’s intervention. The BA did not care about the ordinary person living in Barotseland and his right, from time to time, to choose his government as a free man. For such a one, decentralization, not the horrible BA, is the answer.